Looking to start a kitchen renovation in Burnley? Mint kitchen renovations Burnley can give you quality service and expert advice. Our highly experienced team has been in the business for over 30 years. We’re also a family owned business, so we know what it means to have your family live in a beautifully designed functional space. We take you through the step by step concept and design process, and we always prioritise a stress-free enjoyable customer experience. Creating a perfect result without any surprises along the way. Set the style and tone of your home with a warm beautifully designed kitchen. Often referred to as the heart of the home, designing a kitchen to suit your lifestyle and needs is what Mint kitchen renovations Burnley does best. We can also offer expert advice on a range of products, appliances and industry trends. Our knowledge of the latest styling options is also an important step in understanding the brief for your dream kitchen in your dream home. Mint Kitchen renovations Burnley provides a high-quality functional kitchen renovation with a style and warmth to suit your families needs. Our business is knowing what you need before you need it and making your kitchen your favourite room in the house. From the top of the range to functional and high-quality products we stay on top of what’s best for your kitchen renovation. We make your dream kitchen come to life with our team of highly skilled and knowledgeable industry experts. Or if you are looking for bathroom renovations in Burnley we also provide a bathroom renovation service. Our team of experts can design a luxurious practical bathroom combining stylish and functional features. Relax in a peaceful stylish bathroom space that makes your home feel like a 5-star hotel. Finding your ideal bathroom renovation in Burnley is easy with Mint Kitchen Renovations. Our Burnley Kitchen Showroom is on Burnley Street, near the intersection with Swan St. We are close to the corner of Newry St, a few doors down from Australia Post Burnley and not far from the bathware retailer Apaiser. We’re lucky to have some great cafes and restaurants nearby including the delicious Jethro Canteen, Penny House, Friends of Mine and The Grand Richmond. There’s good parking on and around Burnley Street and Burnley train station is just 8 minutes walk away. 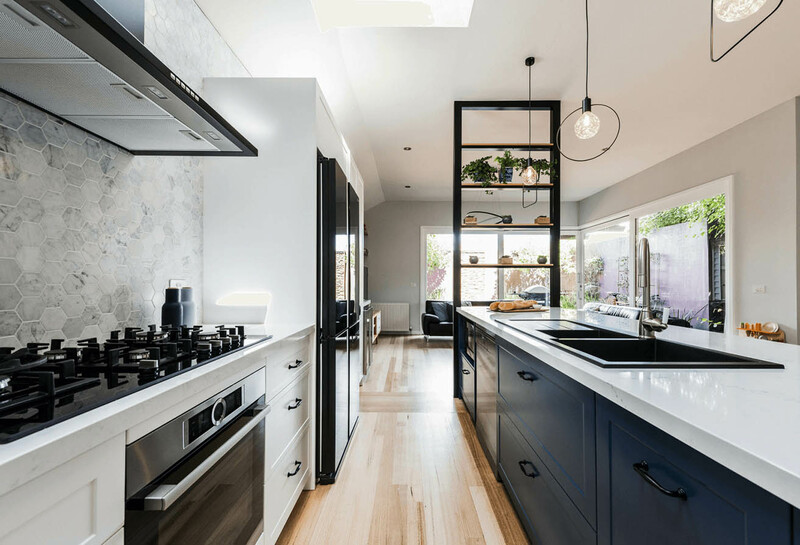 If you’re looking for kitchen renovations in Melbourne, we offer custom design, bespoke joinery and exceptional, hassle-free renovations. Visit our kitchen displays in Burnley and speak to our designers for expert advice. We service the whole of Melbourne including Inner City, Eastern and South Eastern Suburbs.